Aren't those pens adorable? I love them -- they make me smile every time I see them! 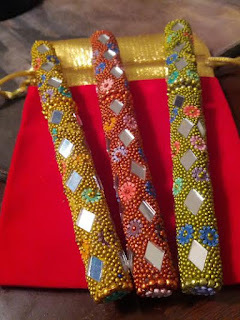 The Sitara Collections Beaded Pens are absolutely fun! The colours are intense and they are decorated with seed beads and little diamond-shaped mirror beads. They have screw-on caps which offers much more protection from leaks than pop off caps. The pens arrive in a set of six (6) pens and 10 refills -- all blue ink. 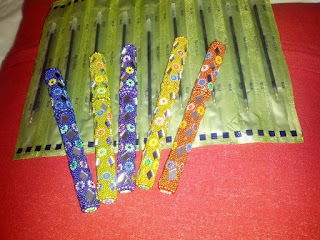 The pens are a bit less than 5 inches long and will fit easily into a pocket, handbag, clutch, etc. I gave one to my Mom last night and she loves it. I keep one in the small cross-body tote with my phone -- it makes life a bit easier for me! I also plan on getting some fro Christmas stocking stuffers. 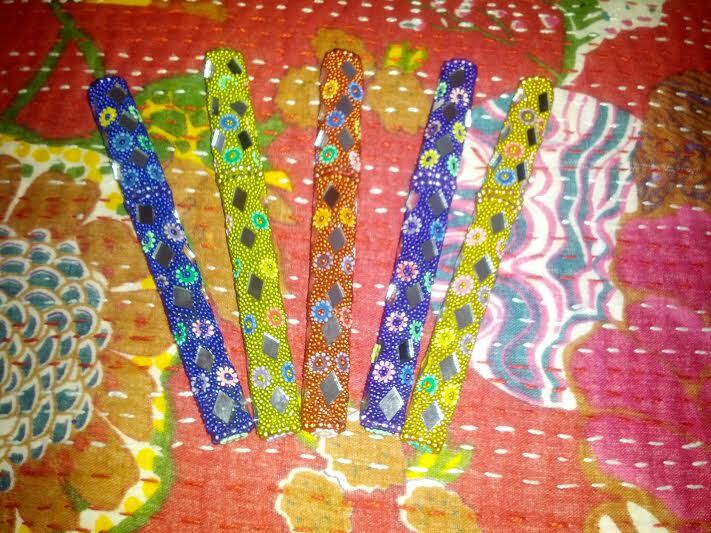 I am very impressed with these little pens -- they are fun AND functional! You may purchase these pens at amazon.com. I want to put a smile on the faces of three of my readers! Just follow the entry instructions below for your chance to win! I received these pens in order to facilitate a review. All opinions are my own and based on my own use of and experience with the items. I love the Yellow pen, these are very cool Thanks for the chance! I'd pick the yellow one. Sorry, I meant I would love to win the gold pen!! I would like the orange pen! I really love the orange one! I'd pick the Orange. Thanks! I'd love the orange pen. I think I would like the Gold Pen, all are pretty though. I would choose the gold pen. It's so pretty! I'll take the red one. Thanks. I think I would have to go with Orange! Thanks for the giveaway! I want to win the gold pen! I would like the yellow pen the best! I love the orange pen.